File belts are ideal abrasive products for grinding or polishing large work pieces that can't be handheld. 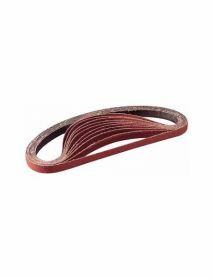 BND Abrasives make and convert our file belts with extra care to prevent joints from snapping. We use a very unique machine that gives our material a special-flex right before it goes out the door, which allows lesser breakages and increased productivity!